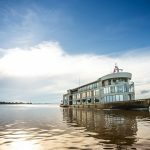 Delfin Amazon Cruises, the pioneers of luxury river cruising in the Upper Peruvian Amazon, has reported record growth in Australian sales for 2018. Australian bookings have increased by over 40% in the last 12 month period. “We are extremely proud of the growth we have achieved this year. We know that Australians are experienced cruisers so we are thrilled that more are choosing Delfin Amazon Cruises to explore the Amazon in comfort,” said Aldo Macchiavello, Founder and CEO at Delfin Amazon Cruises. One cause of the spike in sales has been the Australian market’s positive uptake of the company’s newest vessel, the Delfin III. As the company’s largest vessel, the Delfin III has a maximum capacity of 43 passengers. It offers a luxurious wilderness escape packed with value and at a competitive price point. “Australians have really embraced the Delfin III which makes us more than happy. Thanks to the increase in capacity, availability and pricing options, this remote part of the world is now more accessible than ever before. We know that the lower price point is particularly important to Australians as many of them visit several countries and travel for longer periods when they visit South America,” said Aldo Macchiavello. The latest figures are encouraging since the cruise company invested significantly in the Australian market this year. Founders, Aldo Macchiavello and Lissy Urteaga visited Australia in February, strengthening relationships with the Australian media and travel trade. Delfin Amazon Cruises also welcomed their first group of Australian retail travel agents on board the Delfin III for a luxury famil in July and took part in specialised trade events throughout the year. 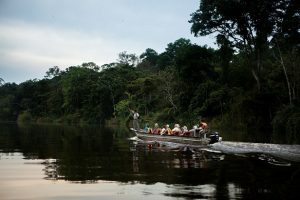 Earlier this month, Delfin Amazon Cruises was awarded for their commitment to service, winning the Best Service category for Central & South America in the Conde Nast Johansens Awards for Excellence 2019.